Barnt Green Sailing Club : What's SUP? Home > News > What's SUP? Barnt Green Sailing Club has entered into an exciting new arrangement with local Halesowen-based company, Devine Ride SUP that will enable people to learn how to take part in this fast-growing pastime of Stand Up Paddleboarding on Upper Bittell Reservoir. For the uninitiated, Stand Up Paddleboarding or SUP is an offshoot of surfing and originated in Hawaii. However, unlike traditional surfing, stand up paddle boarders stand on their boards and use the paddle to move themselves through the water. 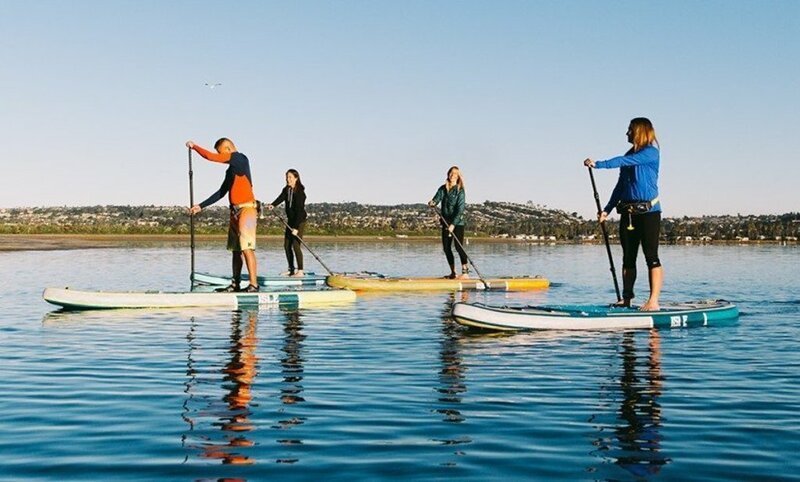 Devine Ride SUP will be offering training courses which will take place on the reservoir on Sunday mornings. Details of the course and bookings can be made by visiting the Devine Ride website or phone 0121 423 1160. Participants joing one of the courses will be able to use the changing rooms and showers in the BGSC clubhouse.